As soon as September hits, my mind races fast forward and I start thinking about all the fun things ahead in the coming months. Visiting the pumpkin patch, hot apple cider, wearing layers, and sitting by the fire - I can't wait! Creating a feeling of warmth and coziness is part of this time of year too and with our new house, I'm determined to set that mood right from our front door. Just a few key elements can set a warm welcome. Start off with a bench or even better, a pair of rocking chairs. Keep a wool throw handy for comfort and a shot of colour. The days are getting shorter so why not add an outdoor copper lantern or string lights (I like the charm of these lantern shaped ones) to cast a warm glow? A simple coir doormat brings texture and a crisp look. The finishing touch? Fall planters in interesting vessels. Galvanized buckets, old baskets or ceramic planters can all do the job but I thought this coal hod in black metal would be a unique spin. Fill it with golden mums and cabbage plants for fall, then use it to hold birch branches and pine cones once winter hits. Our new exterior has me excited to decorate for the season. I have a few more changes planned (new front door colour coming soon!) 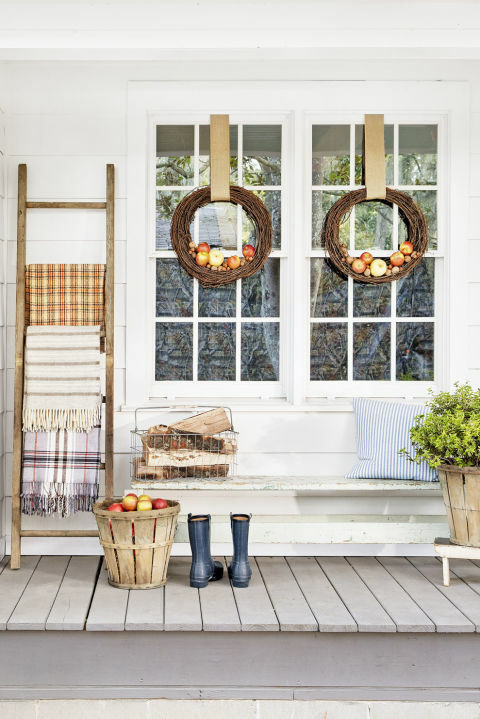 and I will be sharing a fall home tour in a few weeks. 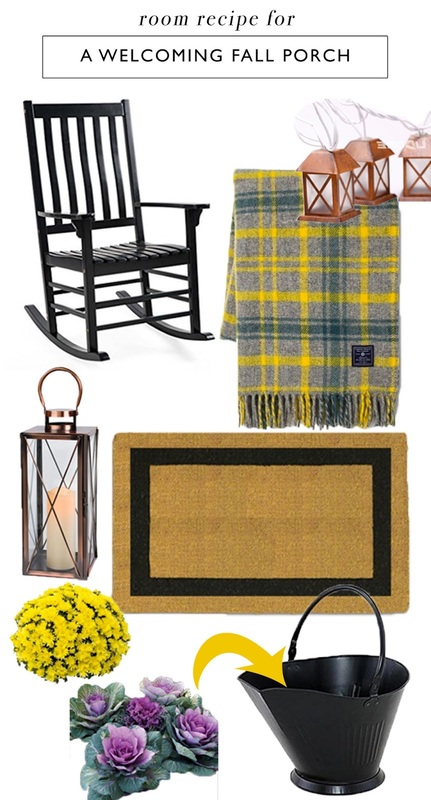 In need of more fall inspiration? Head over to Pinterest to see other fall looks I'm loving. Disclosure: This post prepared in partnership with Amazon.ca. I am a member of the Amazon.ca Associates Program and will share product ideas throughout the year. This post contains affiliate links.